Doncaster has always had a rich railway history and is at the forefront of cutting edge developments in the rail industry, it is therefore no surprise that there are 20 major rail companies specialising in manufacturing, infrastructure, power supply and distribution and much more. However, it is also home to the National College of High Speed Rail. 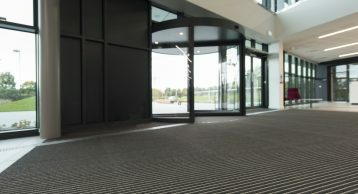 Find out how our Entrance Matting is playing a crucial role in this location. Why was this college built? Built on strong values of safety, pioneering, inclusiveness, collaboration and excellence, the college has been set up to provide training and work experience to learners aged 18 and above in all aspects of what makes a modern railway. 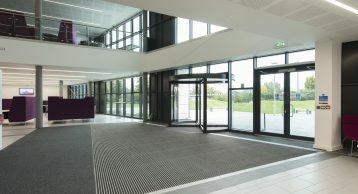 This college along with its twin in Birmingham, aims to solve the engineering, design, planning, manufacturing and construction skill gap that Britain faces as it looks to invest billions of pounds in modernising Britain’s rail network and improve the transport infrastructure. This new college will train 150 learners across both sites during 2017-18 academic year and at full capacity the college will train 1200 learners a year. Much like the national college, we too at INTRAsystems share similar values of safety, pioneering and excellence. 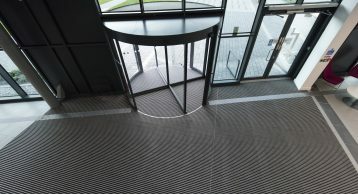 Installing INTRAform Low Profile in this location is maintaining safety as it prevents dirt and moisture from entering the building and causing nasty accidents. 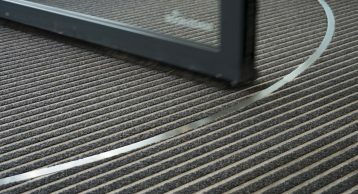 With a pioneering low-profile design (Download CAD) this Entrance Matting is not only lightweight but extremely durable. Combining this with our Elite Polyamide 607 Anthracite Fibre a great moisture barrier is formed. 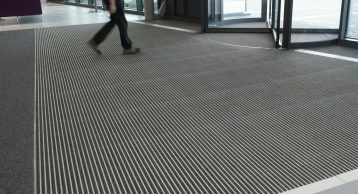 This ultimately prevents wear and tear on internal surfaces and protects the floor by reducing the ingress of dirt and moisture into the building. 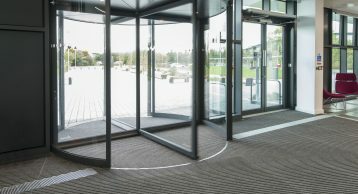 This not only maintains an excellent visual appearance but also helps the building management keep cleaning costs to the minimum. 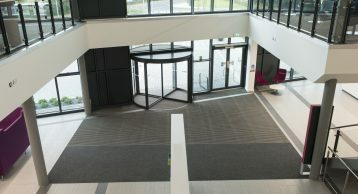 Our hard working and dedicated team worked with the architects in getting the specification right and ensured a perfect fit for the building. Why not give us a call and see how we can help you with your next project. Email us on info@intramatting.com or drop us a call on 01425 472000.